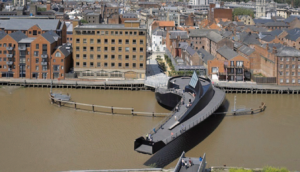 This innovative swing bridge over the River Hull is believed to be the first bridge in the world that allows pedestrians the unique experience of riding it while in motion. The bridge has been described as a destination in it's own right. Drives and Automation supplied both the control system hardware and integration expertise, while London based McDowell and Benedetti were the architects on the project. Barnsley based engineering house Qualter Hall provided the steel fabrication and assembly, lighting scheme and project management. 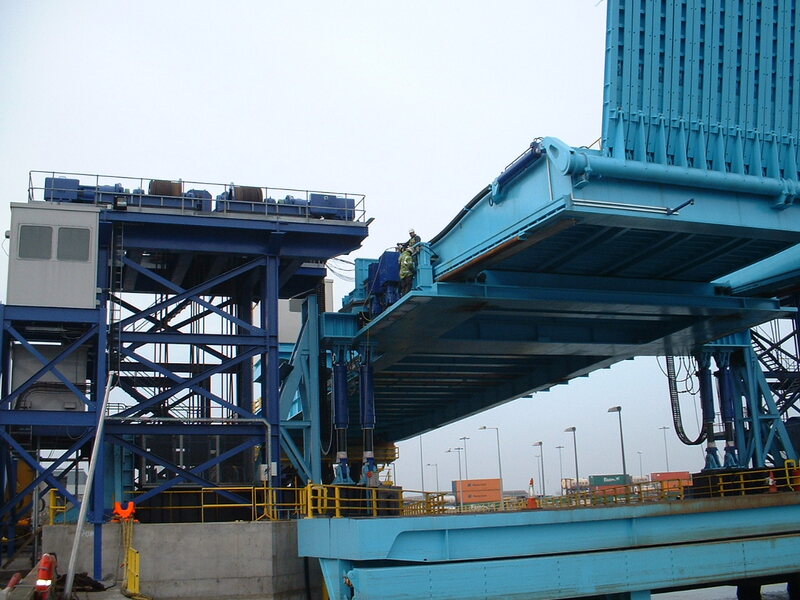 Engineering design, software development and commissioning was provided for a ship loading system at the port of Dublin. The bridge structure is raised and lowered using 6 variable speed AC driven winches to automatically provide the correct height above sea level. The bridge deck separation was controlled via Hydraulic rams. An Allen Bradley SLC500 PLC with remote I/O provides general operational control. A Panel View 1000 provides a graphical operator interface, all communicating via DeviceNet communications. Communication with the drive system for status and control is via Modbus RTU.